2019-1-28 ARR High Quality Stainless Steel Tweezer released!!!! 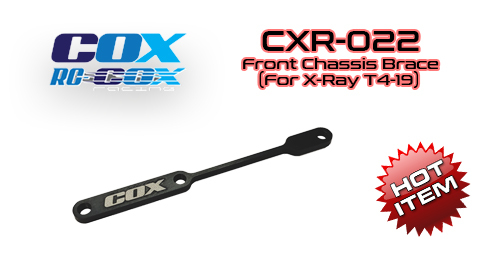 2019-1-2 X-Ray T4 Bumper Post released!!! 2018-12-27 7075 Alu. 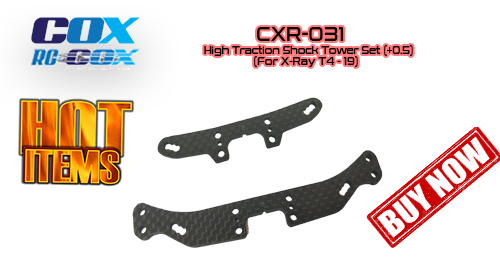 Battery Stopper Set (For X-Ray T4) released!!! 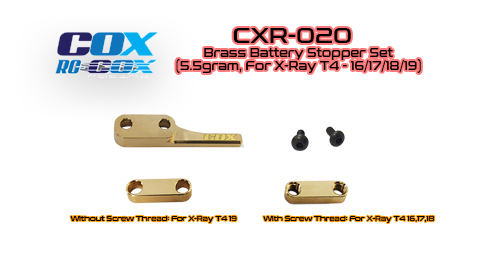 2018-12-13 Brass Battery Stopper Set (For X-Ray T4) released!!! 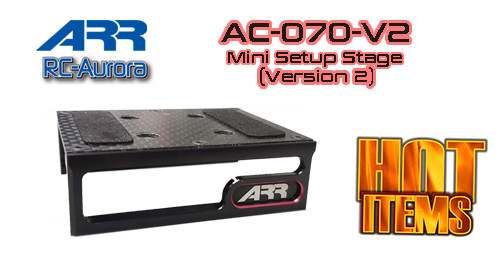 2018-12-3 Mini Setup Stage Version 2 released!!! 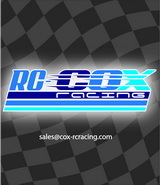 2018-8-27 RC-Cox Infinity IF14 Low Roll Center Suspension Mounts Has Released!!! 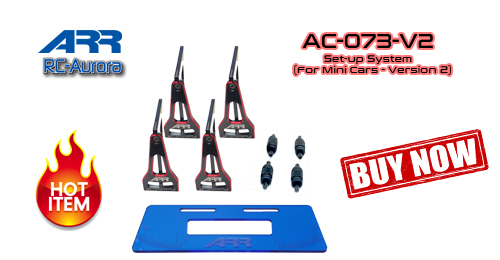 2018-7-5 Body Height Adjuster Set Released!!! 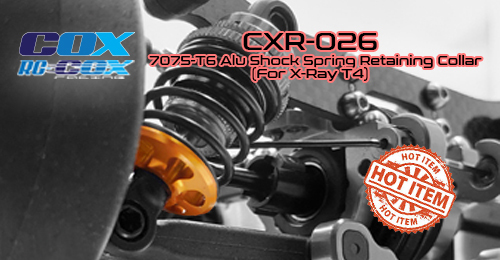 2018-6-21 ARR Sensored Brushless Motor Version 2 released!!! 2018-6-14 Motors and Motor Gears Storage Box released!!! 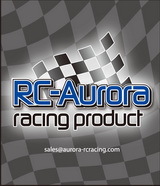 2018-5-15 Infinity chassis & upper deck released!!! 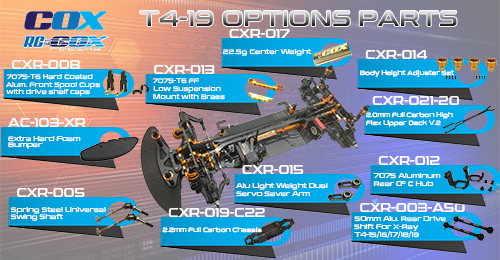 2018-4-3 Alu Light Weight Dual Servo Saver Arm (For X-Ray T4-17,18) released!!! 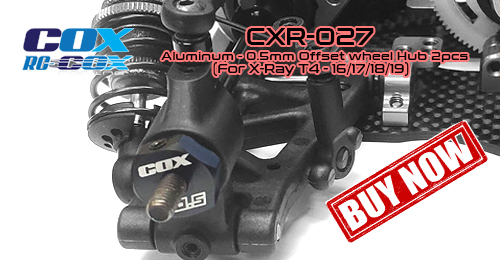 2018-3-16 7075 Aluminum Rear 0° C Hub (For X-Ray T4-17,18) released!!! 2018-2-26 Extra Soft High Temperature Resistant Silicone Wire released!!! 2018-1-30 ARR Sensored Motor released!!! 25-Sep-2017 Ensotech “Swave E” ESC available by week of 9-Oct-2017!